The genealogy of the John Foss Family is an internet mess, and I hesitate to enter the fray but, he is in the family so I will try to sort out what is documented about him and what is not. I know that I haven't been great at documenting my own sources, other than listing them at the bottom of the page, so I will try to do a better job with this one, especially in light of all the errors out there. The two biggest reasons for all the mix ups are the fact that there were two men, contemporaries, named John Foss who lived within spitting distance of each other, and a genealogy of the Foss family compiled and published by Guy S. Rix. The two John's are John Foss(t) of Dover and John Foss of Rye. Both men were married to women named Mary. In his books on the Foss Family, Guy Rix, a blacksmith in Concord, New Hampshire, pieced together the genealogy through correspondence. This was done in the early 1900's. Apparently a Foss family in then Danish Virgin Islands wrote to him and told him of their Danish ancestry. For whatever reason Guy assigned their ancestors to all Foss's in America, which is simply not the case. Guy Rix then combined the two men, added the fake Danish ancestors gave it all a good stir and left us with a Foss fiasco. Now some people really really want the Danish Ancestry to be true, but from what I have read David L. Foss had twins born in 1638, both girls. Rix substituted "Johan" for one of the girls names and Voila Danish Royalty added to the family. As always, if you think that I have any of the following information wrong, please point it out, and please include your documented sources. So here is what I can piece together about John Foss of Rye and John Fost of Dover. In an earlier probate record, that of James Goss (Goffe), the inventory of his estate was done and was then in the hands of John Foste who married the relict (widow) this was done on May 7 1688. Witnesses were Humphrey Chadbourne and Richard Paine. So we know that the wife named in John Fost's will was Elizabeth Goss, widow of James Goss. She is not, however, the mother of all of his children. Mary Chadbourne was alive on 11 March 1673 when she gave birth to her son William. He had his birth recorded in the Dover records in the 1700's after the birth of two of his own children. John, her husband was know to have been remarried to Elizabeth Goss by 1688 when her husbands estate was probated. Most researchers place Mary's death closer to that date. But here's an interesting item in the court records. In June 1674 John Fost and his wife were presented in court in Dover for have a child only 12 weeks after marriage. As there are no other John Fosts in Dover and John Foss of Rye was still married to his wife Mary Berry, who else can this be? There is a story, with slight variations, told about the arrival of John Foss of Rye. It is said that he was a Midshipman or caulker, on a British Man-of-War that was anchored in Boston Harbor. John absconded from the ship and made his way to Rye. I tend to believe that he was a caulker rather than a midshipman. Although no one knows exactly when he arrived, you can pin him down a bit based on information in town records and deeds. At a Porthsmouth town meeting in 1663 a highway was to be laid out from Nathaniel Drake's to Sander's Point which was where John Foss lived. Nathaniel Drake was by then married to Mary Berry Foss' mother. At an Oct 1671 meeting he was paid 100 pounds for something by the town and in 1675 John Foss, Surveyor presented his account for work done on the highway, working with him were John and James Berry. He is said to have received a deed of land in Rye in 1668. To keep things complicated both men had sons, born around the same time, named William. William, son of John Fost, is known to have been born on March 11, 1673. 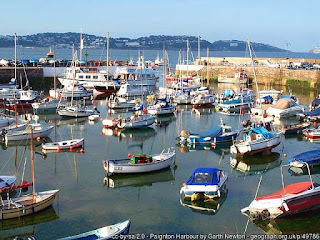 He married first in 1692 to Margery Lord and second Sarah, widow of Nathaniel Heard of Dover. Around 1727 he married Mary Horne. William Foss, son of John Foss of Rye, married Sarah Buswell in 1700 in Hampton Falls. The Hampton Lane Library which is a great genealogy resource for New Hampshire Ancestors lists John Foss as the son of Steven and Mary Jackson Foss. Albert Stillman Batchellor, Otis Grant Hammond, Ezra Scollay Stearns, Probate Records of the Province of New Hampshire, vol. 1 1635-1717, State Papers Series Vol. 31, (Concord, NH: Rumford Printing Co., 1907) 450, digital images, Archive (https://archive.org : accessed 26 December 2015). Batchellor, Hammond, Sterns, Probate Vol 1, 320. Dover Historical Society, The Collection of the Dover Historical Society, Vol 1, Births and Marriages,(Dover, New Hampshire: Scales and Quimby, 1894), 40, digital images, Archive (https://archive.org : accessed 26 December 2015). William Richard Cutter and William Fredrick Adams, Genealogical and Personal Memoirs Relating to the Families of the State of Massachusetts,Vol 4, (New York: Lewis Historical Publishing Co., 1910) 2461, Archive (https://archive.org : accessed 26 December 2015). "Maine Early Wills and Deeds," database with images, American Ancestors (www.americanancestors.org : accessed 27 December 2015), citing York County, Maine Wills, Registry of Deeds 2, 27, entry for Humphrey Chadborne, 1667. 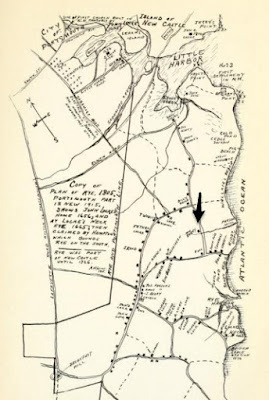 John Scales, Historical Memoranda Concerning Persons and Places in Old Dover New Hampshire, (Westminster, Maryland : Heritage Books, 2007), 381-2. Collections of the Dover New Hampshire Historical Society, Vol 1, (Dover, Scales & Quimby, 1894), 40. Albert Stillman Batchellor, Otis Grant Hammond and Ezra Scollay Sterns, Probate Records of the Province of New Hampshire, Vol. 1, 1635-1717, State Papers Series, Vol. 31, (Concord, New Hampshire : The Rumford Press, 1907), 320, digital image, Archive (https://archive.org). Otis G. Hammond, New Hampshire Court Records, 1640-1692, Court Papers, 1652-1668, State Papers Series, Vol. 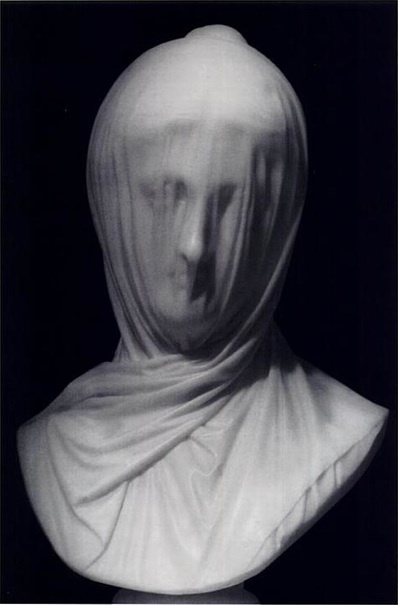 40), 304, digital images, Archive (https://archive.org). John Plumer, "Two John Jacksons from Dartmouth", The New England Historical and Genealogical Register, The New England Historic and Genealogical Society, 144 (January 1990); digital images, American Ancestors (www.americanancestors.org : accessed 26 December 2015), 33. Henry Cole Quinby, New England Family History, A Magazine Devoted to the Families of Maine and Massachusetts, Vol 3, New York City : H. C. Quinby, 1907), digital images, Archive (https://archive.org : accessed 26 December 2015), 432. Rockingham County, New Hampshire, Land Records, Vol. 13, p. 94; digital image, Rockingham Country Register of Deeds, (www.nhdeeds.com/rockingham/roindex.html), search > Foss, Jno. Rockingham County, New Hampshire, Land Records, Vol. 9, p. 419; digital image, Rockingham Country Register of Deeds, (www.nhdeeds.com/rockingham/roindex.html), search > Foss, Jno. > 419> John to Joshua. This deed was written 13 September 1710 and recorded on 28 May 1716. John Marden, sometimes spelled Mardin, appears to have come out of nowhere and landed in New Castle, New Hampshire in the mid 1660's. It is not known when or where he was born, or who his parents were. In a survey of ancestry.com and other family history sites on the internet, his birth year is usually given as 1642. However, this is just an estimate not an exact date. The date of his marriage to Rachael Berry, daughter of William and Jane Berry, usually given to be 1660, is also an estimated date, based on the estimated birth years of their children. And not to be left out, the date of Rachael's birth is also unknown, estimated to be 1642. This would make them both of them at least 18 at the time of their marriage, based on a 1660 marriage. Anyway, John's name began appearing in various records in Rockingham County in the mid 1660's. In 1664 he was on the Isle of Shoals and appraised the estate of one William King. The Isle of Shoals is a group of islands some 6 miles off the coast of New Hampshire, it could be that John Marden was living on one of the Islands in 1664. He took the Oath of Fidelity in 1666 in New Castle. He also signed a petition by the inhabitants of Great Island (New Castle) to become a separate town. New Castle, the smallest town in New Hampshire (current pop. less than 1,000) was then part of Portsmouth, it was finally incorporated in 1693. Sandy Beach remained part of New Castle until 1719 when it split off and incorporated under the new name of Rye. 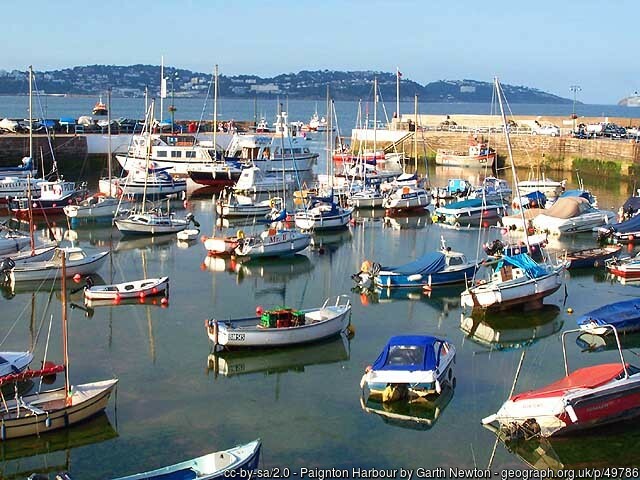 According to Wikipedia the major trades at the time were tavern keeping, fishing, and agriculture. A fort was begun on the Island as early as 1632 and would in John Marden's time be known as Fort William and Mary, it is now call Fort Constitution. John Mardin was listed as an inhabitant of Sandy Beach in 1688. At a 1697 council meeting in New Castle it was order to pay John Marden for his 3 days of labor at the Fort (William and Mary). The most common error I have found concerning John Marden is his date of death usually given as 11 August 1698. He did not die on that date, he wrote his will, he died sometime prior to Feb. 12, 1706/7 which is the date his will was proved. This will was witnessed by Judith Webster, John Foss, and John Locke. In it he left his "rite in the woods" to his son James and his wife Rachael the remainder of his estate. Rachael however did not live long after John as her family testified to her verbal will for her goods on the same day that John's will was probated. Testifying to her wishes were her sister Mary Berry Foss and her husband John Foss. They swore that Rachel gave to her son William Marden "the house and land where her husband John Marden in his lifetime dwelt". To her daughter Elizabeth Rand she left her bed and bedding a small iron pot and her riding hood. To her daughter Mary Jones she left a small table. 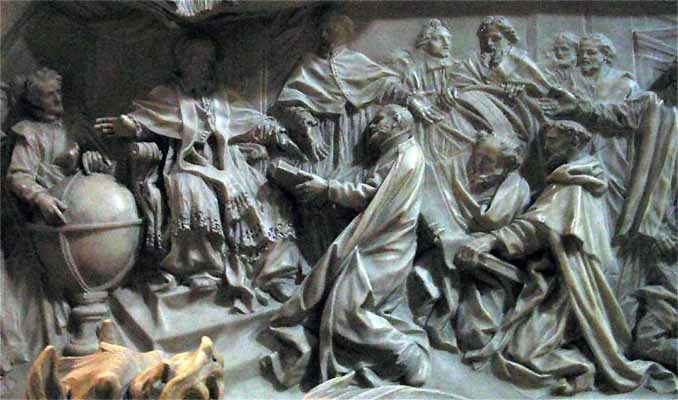 Also testifying that day was William Wallis, he claimed that Rachel left her estate to her son William, to her son John a sheep, and to her daughter Elizabeth, the bed she lay on. John and Elizabeth had the following children: James, John, William, Mary and Elizabeth. Elizabeth married Nathaniel Rand. As always, if you think I have any wrong information please let me know, and if you would be so kind as to provide a source for your correct information. A new year is fast approaching and I have made some New Year's resolutions in regards to my genealogy research. The resolution to which I will really really try to keep is to always document and properly cite all my sources. With that idea in the forefront of my mind, I am going back and rewriting some of my old blog articles, including this one, and adding in my sources. (this blog updated December 2015). 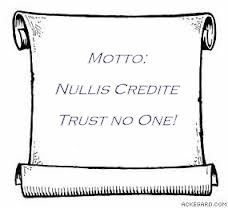 This year I have adopted a new motto: Nullis Credite, meaning, Trust No One. And by no one I mean no other genealogy researcher. Why this lack of faith you ask? Because in this internet driven genealogy age, people are putting up all kinds of really bad research. Often times the problem is actually lack of research. Many web posters are just "copy and pasters." They copy stuff from ancestry.com, wikitree, and other web based sites and in doing so, perpetuate incorrect information. Genealogy is a science at its best, and at its greatest its an art form. It takes time, skill, money, yes money, and brain power. But genealogist are human and they make mistakes, including some of the great genealogist of the past. It's hard to undo over one hundred or more years of incorrect data, and some people believe that if its in a book it must be right, wrong! I would advise you to apply the same principal to your research, don't copy, do your own leg work and get the correct genealogy. So, here is what I think I know about William Berry and his wife Jane. I went to a seance last night and the spirit of Jane Berry Drake came through from the other side. She softly whispered in my ear that she had a message for all her descendants. She said, "for God sake quit calling me Jane Locke Hermins." Jane's last name is unknown. Where did the name Locke Hermins come from? William and Jane's son, William, married a woman named Judith Locke on 8 July 1678. Her father was Nathaniel Locke and her mother's maiden name was Hermins. According to one source her mother's name was also Judith. This would make her Judith (Hermins) Locke, but there is no one named Judith or Jane Locke Hermins. Needless to say, Jane's English ancestry is also unknown. The name William Berry is also found in the records of the town of Newbury. Newbury was established in 1635 as a plantation for raising cattle and some family researchers say that he was in Newbury by 1635, however he is not on the original plat map of 1635 and his name is not in Newbury records prior to 1642. So for whatever reason, William left his first home in New England and moved south to Massachusetts. He took the freemans oath in May of 1642 and became a freeholder of Newbury on December 7th that same year. Williams doesn't seem to have found what he was looking for in Newbury as he very soon returned to New Hampshire. Jane couldn't have been too thrilled with all this 'toing and froing', packing and hauling a bunch of kids around. In 1649 Job Clement of Newbury was granted land formerly owned by William Berry and in 1651 it was recorded that "William Chandler hath William Berries land". There are no records of the birth of baptism for William's children so their date of birth is just a guess. Their birth order is also not known. Langdon B. Parsons, History of the Town of Rye, NH From Its Discovery and Settlement to December 31, 1903, (Concord, NH: Rumford Print. Co., 1905), 296, digital image, Archive (http://www.archive.org : accessed 23 December 2015). Arthur Horton Locke, A History and Genealogy of Captain John Locke (1637-1696) of Portsmouth and Rye, N.H., and His Descendants; Also of Nathaniel Lock of Portsmouth, and a Short Account of the History of the Lockes in England, (Concord, NH: The Rumford Press, 1916), 5, 565, digital images, Archive (http://www.archive.org: accessed 24 December 2015). John Ward Dean, Capt. John Mason, the Founder of New Hampshire: Including His Tract on Newfoundland, 1620, Together with a Memoir by Charles Wesley Tuttle, Prince Society: New Hampshire, 1887), 344, digital images, Google Play (http://books.google.org : accessed 26 December 2015). Langdon B. Parsons, History of Rye. John J. Currier, History of Newbury, Mass., 1635-1902, (Boston: Damrell & Upham, 1902), 84, 94, 100, 154, digital images, Archive (http://www.archive.org). Micajah Otis Hall, Rambles about Greenland in Rhyme, (Greenland, New Hampshire: A. Mudge & Sons, 1900), 157, digital images, Google Play (http://books.google.com). Sybil Noyes, Charles Thornton Libby and Walter Goodwin David, Genealogical Dictionary of Maine and New Hampshire, (Baltimore: Gen. Publ. Co., 1990), 90. Probate Records of the Province of New Hampshire, vol. 1 1635-1717, State Papers Series Vol. 31, Albert Stillman Batchellor, Otis Grant Hammond, Ezra Scollay Stearns, (Concord, NH: Rumford Printing Co., 1907), 800, digital images, Archive (http://Archive.org : accessed 20 December 2015). William Abbatt, "William Berry (Bury) of New England," The Magazine of History With Notes and Queries, 1907, Vol. 5. 1907, Reprint ( London: Forgotten Books, 2013). 92-3, digital images, Forgotten Books (www.forgottenbooks.com : accessed 26 December 2015). Noyes, Sybil, Charles Thornton Libby and Walter Goodwin David, Genealogical Dictionary of Maine and New Hampshire, (Baltimore: Gen. Publ. Co., 1990), 90. McIntire, Robert Harry, Ancestry of Robert Harry McIntire and of Helen Annette McIntire, His Wife, (Norfolk, Va., 1950), 148. Savage, James A., A Genealogical Dictionary of the First Settlers of New England, 1860-1862., (Boston: Brown, Little and Co., 1860), 1:171, digital images, Archive (http://www.archive.org). Stackpole, Everett S., Old Kittery and Her Families, (Lewiston, ME: Lewiston Journal Press, 1903), 293-4, digital images, Archive (http://www.archive.org). Probate Records of the Province of New Hampshire, vol. 1 1635-1717, State Papers Series Vol. 31, Albert Stillman Batchellor, Otis Grant Hammond, Ezra Scollay Stearns, (Concord, NH: Rumford Printing Co., 1907), 800. John J. Currier, History of Newbury, Mass., 1635-1902, (Boston: Damrell & Upham, 1902), 84,94, 100, 154,digital images, Archive (http://www.archive.org). Dow, Joseph, History of the Town of Hampton, N.H. from its First Settlement in 1638 to the Autumn of 1892, (Salem, Mass. : Salem Press Publ. & Print, 1893), 689. John Ward Dean, Capt. John Mason, the Founder of New Hampshire: Including His Tract on Newfoundland, 1620, Together with a Memoir by Charles Wesley Tuttle, Prince Society: New Hampshire, 1887), 344, digital images, Google Play (http://books.google.com). ( London: Forgotten Books, 2013). 92-3, digital images, Forgotton Books (www.forgottonbooks.com). Nathaniel Rand was the first son of John and Remembrance Ault Rand. He was born in 1669 in the Oyster Creek Plantation area of New Hampshire, now known as Durham. His parents were killed in the Oyster Creek Massacre in July of 1694. He and his brother John are not mentioned in any account of that day. His brother Samuel was taken captive and as well as his sister Remembrance. Samuel was returned but Remembrance was never seen again. Nathaniel is often confused with his uncle of the same name, he was killed at the Brackett's Lane Massacre in 1691. His brother John died a young man in 1697, leaving one child, a son also named John. In 1701 Nathaniel married Elizabeth Marden at Queen Anne's Chapel in Newbury, MA. She was pregnant at the time of the marriage and they had to appear in court to explain their full term baby born four months after taking their vows. He wrote his will in 1740 but it was not proved until 1759. Elizabeth survived him. He names six children in his will, sons: John, Joshua, Amos and Nathaniel and two daughters: Sarah Jordan and Elizabeth Philbrick. Amos Rand was born in 1703 in Rye. As an adult he worked as a cordwainer (shoemaker). He married Hester (Ester) Philbrick in 1726, their first child, Anne, was born 13 August 1727. Their last child, Nathaniel was baptized in August of 1740. A lot of websites and Ancestry.com trees give the date of death for Amos as 15 September 1740. This date is almost certainly wrong. His father, Nathaniel, wrote his will on 15 September 1740, and names Amos in the will. Now if his son dropped dead on the very day he wrote his will, you would think he might change it, but he didn't, which makes me think that people are just jumbling up their dates. Like his father before him, not much is written about Amos, the best source I've found is the book; "The History of Rye, New Hampshire" by Landon Brown Parsons. In a town meeting in 1754 the townsmen discussed building a road from Amos Rand's house to Nehemiah Berry's, which leads me to believe that he was still alive at that time. Amos lived at the intersection of West and Washington Roads. In the 1805 map of Rye by Mr. P. Merrill Thomas Rand was living there. Amos also received some of the Glebe Lands (land that had been set aside to fund the minister) in 1750-1760. In his book Parsons describes life in Rye in the early 1800's. He said there "was but little appearance here of any cultivation of any comfortable subsistence, or of any pleasing prosperity. The inhabitants, few in number, were low, destitute, and miserable .....Where there was nothing then but a waste and dreary wilderness, there are now well fenced and well cultivated fields. Where there was abject poverty, there now is smiling abundance and wealth. Where there was wretchedness and misery, there now is pleasing prosperity and happiness...." Sounds like life was pretty grim back then, of course some of the authors in the early 1900's were not to objective when they wrote some of these 'histories', it had to have been a tough life. There is no will for Amos Rand, his date of death is unknown. There is no will or death date for Ester.